Ultranauts, are U ready for Road To Ultra Philippines 2017?! 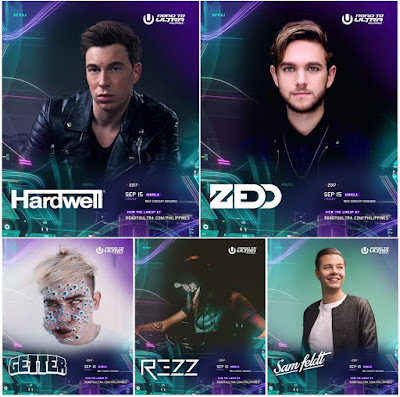 Headlining the party are the Grammy-winning producer, ZEDD, and Dutch electronic superstar, HARDWELL. Joining them are melodic house master, SAM FELDT; EDM, dubstep, and trap producer, GETTER; and rising Canadian technostar, REZZ. Road To Ultra Philippines is presented to you by Blackwater and Ovation Productions. Follow us on Twitter and Instagram at @ovationprod for the latest updates.